Growing concerns regarding the leveraging of the European Financial Stability Facility (EFSF) are weakening the core EU financial markets. Yesterday, Spain has been downgraded by the rating agency Moody's, two notches to AA1 level and France looks to be the next to lose its triple A rating. 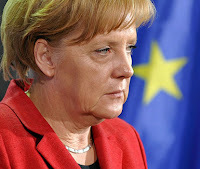 All these concerns have started to spill out at the core of the European Union: Germany, France and the United Kingdom. Does EU really have a firm response for the upcoming debt crisis ? Germany sold 4.075 billion euros in its final reopening of the September 2021 bond, bringing the outstanding amount to 16 billion euros. A new January 2022 benchmark will be launched in November. The bid/cover ratio at the sale was 1.1, below the 1.5 at the previous sale in September and the 2011 average at 10-year Bund sales of 1.61, according to Reuters data. But with a target amount of 5 billion euros -- the Bundesbank retained 0.925 billion euros -- the 4.55 billion euros of bids drawn did not match the amount on offer. The last 10-year auction deemed a technical failure was in July. Needless to say that the German Bunds have been falling to the session low of €134.32. Trade accordingly!